If you are an undergraduate or postgraduate taught student you will be charged only for the modules you undertake each academic year as agreed with your faculty. Each module attracts a specific number of credits and the fees are calculated for each 10 credits you undertake. Please bear in mind that the underlying per 10 credit fee tariff normally increases each academic year during your period of study. 3. I am a postgraduate student who studied for my undergraduate degree at University of Plymouth; am I eligible for an alumni discount on my tuition fees? Full details and eligibility criteria can be found viewing our funding for staff and alumni page. 4. How do I find out more about the Postgraduate Masters Loan or Doctoral Loan and how to apply? Please refer to the Student Finance websites for postgraduate masters loans and doctoral loans. 5. I have been approved by Student Finance for a Postgraduate Masters Loan or Doctoral Loan. When do I need to pay my tuition fees to the University? Postgraduate Masters and Doctoral Loans will be paid to you personally and not directly to the University unlike undergraduate loans. Please ensure your payments to the University are made by the following deadlines which are aligned to the dates by which you should receive your loan instalments from Student Finance. For those programmes commencing between September and December, 33 per cent to be paid by 26 October 2018, 33 per cent to be paid by 25 January 2019 and the remaining 34 per cent to be paid by the 26 April 2019. For those programmes commencing between January and March, 33 per cent to be paid by 25 January 2019, 33 per cent to be paid by 24 May 2019 and the remaining 34 per cent to be paid by the 30 August 2019. For those commencing between April and July, 33 per cent to be paid by 27 April 2019, 33 per cent to be paid by 30 August 2019 and the remaining 34 per cent to be paid by 29 November 2019. 6. I have been approved for a Postgraduate Masters Loan or Doctoral Loan from Student Finance, but I have received correspondence from the University regarding unpaid tuition fees – what should I do? Please scan and email a copy of the payment schedule letter (which you should have received from Student Finance) and email it to us at tuitionfees@plymouth.ac.uk so that finance staff can check you are on the correct payment terms. 7. I am experiencing difficulties getting my Postgraduate Masters Loan or Doctoral loan approved by Student Finance, or they have told me that I am not eligible for a loan this year – is there anyone that can help me? You can visit the Student Union Advice Centre on campus where staff can help you look at your eligibility and help you communicate with Student Finance. Alternatively, you can email them at advice@su.plymouth.ac.uk or call +44 (0)1752 588373. You may also email the tuition fees team at tuitionfees@plymouth.ac.uk for advice or call them on +44 (0)1752 588130. 8. Student Finance has told me I need to get my attendance confirmed by the University – who do I need to contact? The University is required to confirm to Student Finance that you are in attendance. Upon receipt of this Student Finance will release the relevant instalment of your loan. Whilst this should be carried out automatically Postgraduate Loan recipients can request this by emailing sponsors.studentrecords@plymouth.ac.uk and Doctoral Loan recipients by emailing doctoralcollege@plymouth.ac.uk. 9. What happens if I do not pay my fees? Please refer to our student debt policy to see the University policy regarding non-payment of tuition fees. 10. I think my tuition fees are wrong – who should I contact? 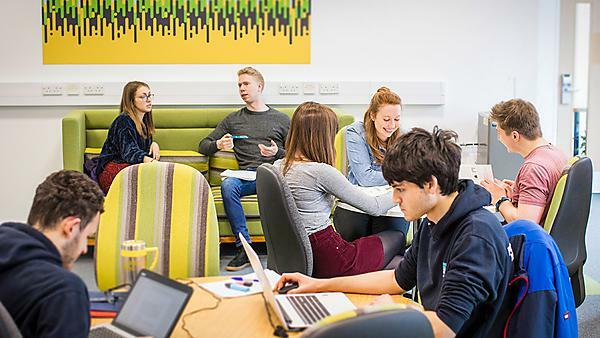 If you believe that your tuition fees have been incorrectly calculated, please contact the tuition fees team in the first instance, by email at tuitionfees@plymouth.ac.uk or by telephone +44 (0)1752 588130. We will investigate this for you and query this with your faculty as necessary. 11. I think I may have overpaid my tuition fees. Who should I contact? Please contact the tuition fees team in the first instance, by email at tuitionfees@plymouth.ac.uk or by telephone +44 (0)1752 588130. We will investigate this for you and process a refund for you as necessary. 12. What other assistance is available for postgraduate students? Some UK students on postgraduate programmes opt to take out Professional Career Development Loans to fund their masters study.